Algiers: Algerian police tried but failed to disperse protesters gathered for the first Friday protests since the announcement of presidential elections to succeed ousted leader Abdul Aziz Bouteflika. “We feel there is some tension this Friday, there are a lot of police,” said Karima Bourenane, 36, who turned up with her daughter. Presidential elections are to be held on July 4, interim leader Abdul Kader Bin Salah’s office announced on Wednesday, just hours after he pledged “transparent” polls. The new date was set a day after Bin Salah assumed office for a 90-day period, as stipulated by the constitution but much to the ire of demonstrators. The appointment of upper house speaker Bin Salah as Algeria’s first new president in 20 years has failed to meet the demands of demonstrators. 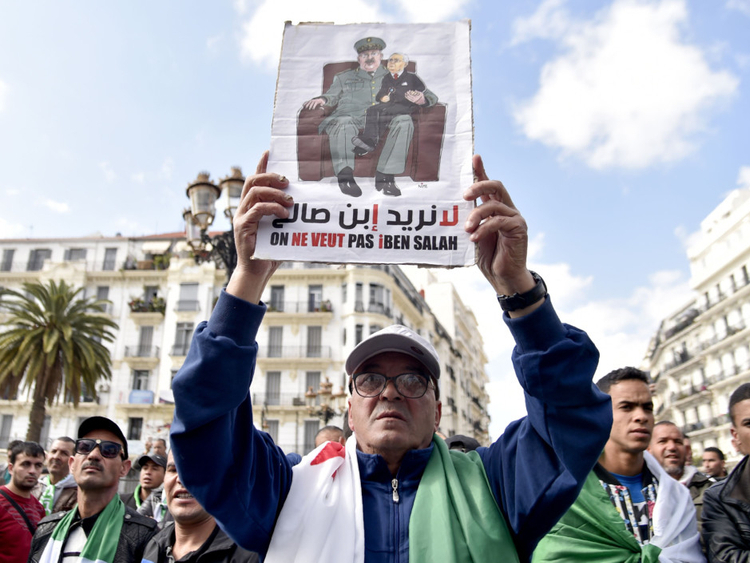 Although 77-year-old Bin Salah is barred under the constitution from running in the upcoming election, protesters have nonetheless pushed for the close Bouteflika ally to step down. For Mahrez Bouich, a philosophy professor at the University of Bejaia, east of Algiers, “the July 4 election has already been rejected by the people, which also refuses Bin Salah’s nomination”. Bin Salah has received the implicit support of the army whose chief General Ahmad Gaid Salah withdrew his backing for Bouteflika, prompting his resignation on April 2. But Mohammad Hennad, a political sciences professor at the University of Algiers, said “the balance of forces will favour the street if it’s a large mobilisation on Friday” as in past weeks.